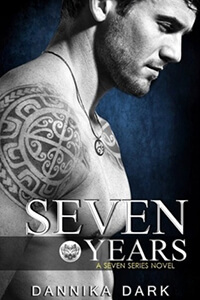 Six Months by Dannika Dark is book two in the Seven series. This book features Reno, second in command of the Weston pack and April, Lexie’s manager of Sweet Treats. April is really young. We’re talking early twenties and has found herself dealing with loan sharks after her grandmother’s death. She is very private and doesn’t want anyone to know of the issues she is dealing with. She’s trying really hard to be independent and not burden anyone else with her problems. April is also an animal lover so when a wolf shows up at her door with a fork stuck in his arm, she is determined to help. It was surprising that this wolf was so docile with April right from the start. You just knew who it was right away. After Seven Years, I had this rough, bad boy impression of Reno. When in fact that just seems to be the facade he puts on. He is a genuine nice guy. He does so much for April. Still though, even after everything he does for her she keeps her secrets. Especially when she thinks she has a way to pay back one of the loan sharks and puts her job in jeopardy. Reno though, he stole my heart a little. I definitely connected better with him than I did with April. April’s age and problems just seem to compound problems with poor decision making. She truly tries to do the right thing, or what she thinks is the right thing, only to have an outcome that ends up hurting someone. Finally, to pay off a debt and protect those she loves, she puts herself in a position that is looked down upon by most shifters. Needless to say, April annoyed the crap out of me. She continually took the wrong turn at every choice she was given. It made her age glaringly clear, and I was kind of confused on how Reno dealt with such an obvious problem. Six Months basically played out with me being pissed at April for some choice she made. She put so many people in danger. However, the danger did keep the adrenaline running throughout the book so you were sucked in. Unfortunately, April’s voice in this audio portrayed how young she was and had a bit of a whine to it that kind of turned me off. I think it made her that more annoying to me. 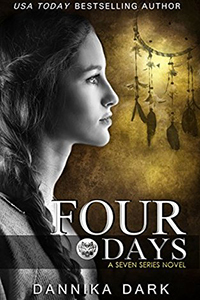 It did suit her though and I think Nicole Poole did a great job helping me envision just what April was like. Like I always say, if the book was able to extract major emotional feelings from me, good or bad, then it must have been a good read. 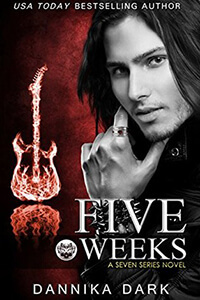 I enjoyed Six Months and was as enthralled with it as I have been with all of Dannika Dark’s work so far. I was just so frustrated with the characters! I’m excited to move on to the next couple and see what that heroine will be like. I love how Dannika Dark really shapes her characters and lets you get to know them so well. Then Nicole Poole comes in with her narration which fits the character perfectly and you are lost in the world.